Nameer Khan is one of the Middle East’s Top 50 Fintech Influencers and Co-Founding Board Member of the MENA Fintech Association. 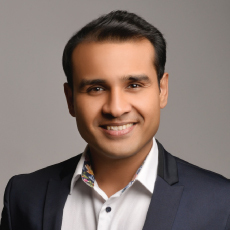 Nameer Khan represents the next gen millennial leadership globally and is internationally recognized as a Fintech strategist with specialization in innovation. Nameer is currently working closely with multiple financial regulators across the region including Arab Monetary Fund and the 22 arab countries as an executive committee advisor and establishing a well knitted fintech framework to create a conducive fintech ecosystem. Also helping banks and insurance companies to transform into future forward organizations. Nameer is also on the board of multiple startups the world over and helping them with their scale ups. Nameer is a firm believer in commitment, persistence, smart work and most importantly creating a platform for the youth to build their talent and bringing some excitement to fintech. He is a key player in developing an optimal fintech ecosystem in MENA.